Welcome to our gastronomic circle which celebrated its 80th anniversary in 2018. 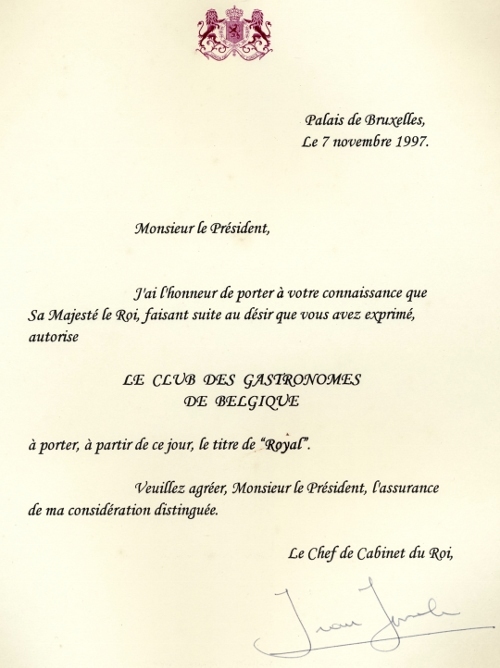 Our ambition is to promote throughout the territory of the Belgium, in its three regions, Flanders, Brussels and Wallonia, a recognised cuisine highlighting both local produce (e.g., hops sprouts, asparagus, Malines chicken, Ostend sole, chicory...) and classical dishes. The free access to the numerous events around the world initiated by the International Academy of Gastronomy .